At Jacques, we feel grateful for the number of holiday memories that have taken place before our eyes. For the last 50 years, we’ve been serving families and employees hearty homemade meals with delicious, seasonal flavors and festive displays. Thank you for inviting us to fill your table and trusting us with your holiday catering needs! 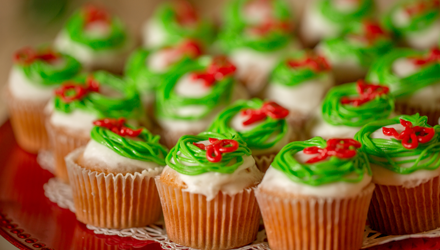 Holidays come in all shapes and sizes. We offer a variety of packages to various types of events. With options for a full-service dinner or just some turkey and a few sides, we will provide you with a feast that’s more than what you bargained for. Our holiday menu was designed with flexibility in mind. Are you having a traditional family gathering at home? Or interested in enjoying a wholesome meal at your work site? We can help with that. Our delivery team is efficient and well equipped to get your seasonal eats to you—while they’re still hot and fresh! The Earlier You Order, the Better! Your peace of mind during the holiday season is important to us. That’s why the sooner you place your order, the more at rest you’ll feel on the day of your event. Though we take orders 10 days prior to the holiday, we encourage you to book at least a month in advance. We can stop at delivery or bring in the works—linen, china and a skillful staff. Let us help you make the most of your holiday, from setup to cleanup. Our staff, made up of extremely skilled and patient professionals, love to see you light up at the sight of a well-prepared, beautifully presented holiday spread. Thank you for trusting us with the important people and occasions in your life. We’ve had the privilege of working with so many phenomenal venues with dedicated, big-hearted staffs over the years. Maybe you’re not feeling like hosting this year. We can recommend many reasonable locations that could easily accommodate a corporate or social holiday gathering. Santa’s Coming to the Reception Center! 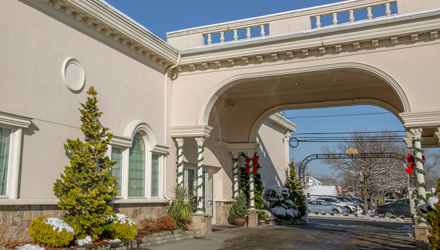 Speaking of phenomenal venues, guess who’s coming to the Reception Center this holiday season. If you guessed Santa, then you’re absolutely correct. He’s coming for two whole days, and he wants to have brunch with you and your children. 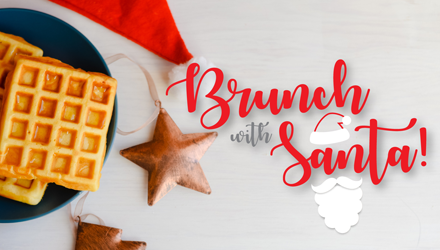 Join us on Sunday, December 9 or 16 for a delicious meal, festive drinks and a picture with Santa. What is your holiday vision? We’d love to hear all about it!